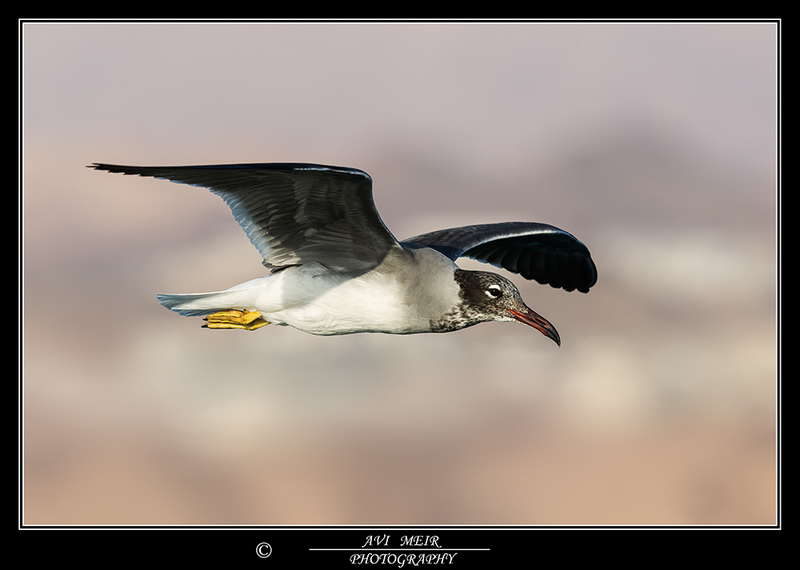 White-eyed Gull L. leucophthalmus adult, March 01 2013, Eilat, Israel. Picture: Avi Meir. Still in winter plumage. Probably adult, not 3CY as hood sharply demarcated from grey neck and completely white tail.